At Supreme Cleaning, we provide a wide range of Janitorial Services in the Atlanta Metropolitan area. Previously known as New Day Janitorial. We provide the highest quality of Industrial and Janitorial services. We take pride in our commitment to excellence. At Supreme Cleaning we are dedicated to serving our customers needs and providing 100% satisfaction Guaranteed. Our goal is to bring the best quality service at affordable prices. Our staff of professionals is skilled, dedicated, and also trained to meet your cleaning needs. Our services include, but are not limited to: Construction and Demolition Site Debris Removal, Medical Facilities Maintenance, Carpet Care, Construction Clean-up, Hand Surface Floor Care - Strip/wax VCT, Special Event Services, Window cleaning, Hotel Housekeeping, Janitorial services, office building maintenance, Corporate Maid Service, Office Upkeep, Move-in/Move-out, Foreclosure Cleanup, Car Dealerships, and Retail and Shopping Mall Maintenance. We are also available for your specialty assignments. As you can see we offer a broad range of services that can be tailored to meet your needs. Our company is fully licensed, bonded and insured to give you the confidence that your job is being handled by qualified personnel. 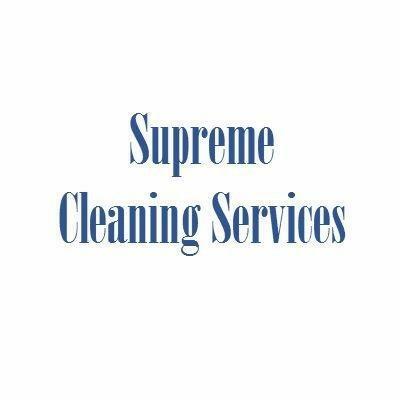 The sole purpose of Supreme Cleaning is to be the best, most innovative leader in the industry, and that is why we strive to exceed our clients expectations in service and accountability. Because of that we have an excellent customer satisfaction rating. Professional, personable and polite. We have entrusted the cleaning of our home to New Day Janitorial for years now without complaint. New Day Janitorial do a very good cleaning. They are really nice. I could not find a nicer group of young people to help me out. They are the best! Thank you so much for fitting our house clean in at such short notice. The clean was fantastic and we got our bond back! Originally what they did was they came and gave me an estimate and they cleaned my house from top to bottom and now they just maintain it. The price is great, they have great services. Fresh and clean once again.thank you for your continued attention to detail. Thanks for an absolutely perfect cleaning. Everything was spotless and the house was pretty dirty. Compliments to New Day Janitorial !! New Day Janitorial did an excellent job for me. At Supreme Cleaning we are dedicated to serving our customers needs and providing 100% satisfaction, and that is Guaranteed. Our goal is to bring the best quality service at affordable prices.